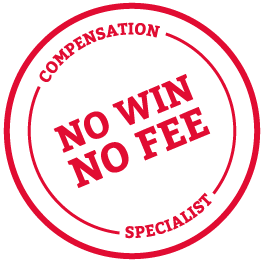 With Thompsons Solicitors you can rest assured that a claim for No Win No Fee compensation in Aberdeen will cost you nothing unless you win your case. This means that you can proceed with your claim in confidence, knowing that at no point will you be liable for any costs, fees or disbursements until you have secured your settlement. Without such an agreement in place preparing a compensation claim can be an expensive and risky process, with expert witness statements, medical expenses, court fees and other costs all placing a significant financial burden on the claimant. In addition, claims that are not underpinned by a No Win No Fee agreement may result in the claimant becoming liable for the opponent's legal costs. Between them, Thompsons' personal injury solicitors cover the full spectrum of personal injury claim work. As such, whether you wish to make a claim for workplace injury, car accident injury, serious or fatal injury, cycling accident injury, industrial disease, medical negligence or some other incident involving third party liability, we can help you achieve the full compensation to which you are entitled. If you are looking to make a claim for No Win No Fee compensation in Aberdeen, with Thompsons your case will be handled by an expert no win fee lawyer who will be able to meet with you in Aberdeen. We believe providing a local expert service is really important and we don't, unlike some claims companies, run your case from a remote, faraway location. To find out more about our team’s expertise and experience click here to view our solicitor profiles. Thompson's No Win No Fee compensation solicitors in Aberdeen can help you achieve the justice and the settlement you deserve for your pain, losses and injury. We are one of the largest firms in the country, have received multiple awards and accolades for the quality of our service and remain committed to helping the victims of third party negligence secure the full legal rights and recognitions to which they are entitled. If you live or work in Aberdeen, the North-east, the Highlands or the Islands and are looking to make a No Win No Fee compensation claim talk to Thompsons today on 0800 0891331.